You think you have great talents? What are you waiting for? The Challenge has started in grand. 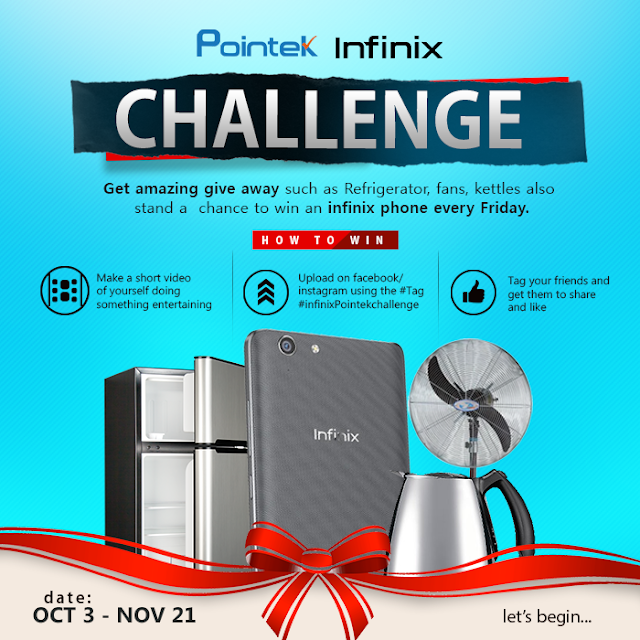 Upload on facebook/Instagram using the hash-tag #InfinixPointekchallenge. Tag your friends and also get them to like our page for you to win one of our fantastic prizes every Friday. TGIF is Big this month! Please Note: Winners will be invited to the Pointek HeadQuarters to perform Live! Contest runs from 3rd October to 21st November, 2016.